The UsuryFree Network is a private network of usuryfree creatives. Who are these usuryfree creatives? Usuryfree creatives reject usury and the NWO (New World Order). What is usury? Usury is the correct word to to define 'interest on debt' as exacted by the creditor (the bank) on the debtor (the borrower). Usury is a scourge. It is never created and put into circulation by the banking institutions BUT it is exacted as a regular payment (usually monthly). The function of usury is to directly legalize plunder by the banks. If the debtor cannot pay both the principal and the usury portion of any loan or mortgage that bank has the power to steal the wealth from we-the-people. This action is absolutely immoral and it must be stopped. The control of the usury machinery by the banking syndicate will be stopped in this 21st Century when enough people are awakened to the greatest scam of the 20th Century. The purpose of the UsuryFree Network is to encourage people (debtors) to expose "lies, deceit and deception" and to pursue "honesty, integrity and truth." It is the observation of the UsuryFree Network that most debtors are believing in the illusion and living a life of delusion simply because they "don't know they don't know." 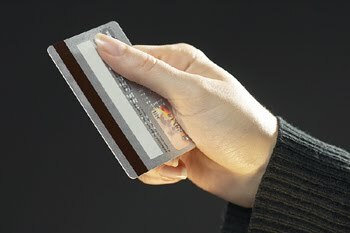 The average debtor living in Canada (and elsewhere) is likely to be saddled with (a) a 25 to 30 year mortgage - otherwise known as a 'death gamble' (b) leased or purchased vehicles with usury exacted on a monthly basis on any loans granted by the creditors and (c) unpayable credit card debt that continues to grow exponentially. Add to this indebtedness is the ever-increasing tax burdens inflicted upon debtors by every level of government (municipal, provincial, federal). Is it any wonder that debtors have little or no time to build personal and/or family relationships? Indeed, most debtors are unknowingly victims, because for lack of knowledge, they make bad choices based on what formal education teaches. Debtors commonly take wrong paths because their flawed thinking is based on abundant, bad advice - which is usually very costly considering the fees for tuition at educational institutions. As an alternative, countless usuryfree creatives are offering good advice with abundant resources and meticulous research that commonly extends far beyond the sacred walls of formal education. The ultimate goal of usuryfree creatives is to advocate and promote re-education whereby debtors are taught "how to think" rather than "what to think" as is the common practice within the walls of formal education. Usuryfree creatives adhere to a usuryfree living goal wherby debtors are encouraged to shift out of the perpetual debt cycle and shift into the reality of "life without usury" by simply re-educating themselves about economic concepts and related matters that formal education neglects to teach. Usuryfree creatives get excited when one more debtor learns "how to think" and is able to assess the truth about modern, money creation. Usuryfree creatives always trust and hope that there is one more debtor who is ready and willing to metamorphosize into a usuryfree creative who sees the possibility of experiencing the reality of usuryfree living in this incarnation. When the possibility of usuryfree living gets into a debtor`s heart, the probability of experiencing a usuryfree lifestyle motivates the debtor to action. 1. Learn the truth about modern money creation as it applies to our orthodox, economic system of usury-based, debt money. 2. Embrace the UsuryFree Network by becoming a usuryfree creative and committing to helping to promote the usuryfree community currency movement and ultimately experiencing a usuryfree lifestyle. 3. Plan, organize, promote and attend events to celebrate UsuryFree Day (November 13th) and UsuryFree Week (November 13th to 19th) every year. In 2010, usuryfree creatives celebrated the Sixth Annual UsuryFree Day and Week. Most debtors who are ready and willing to support the UsuryFree Network are seeking to spend more time with family and friends while holding a vision for true economic freedom. Becoming a usuryfree creative is the first step to experiencing the reality of usuryfree living. 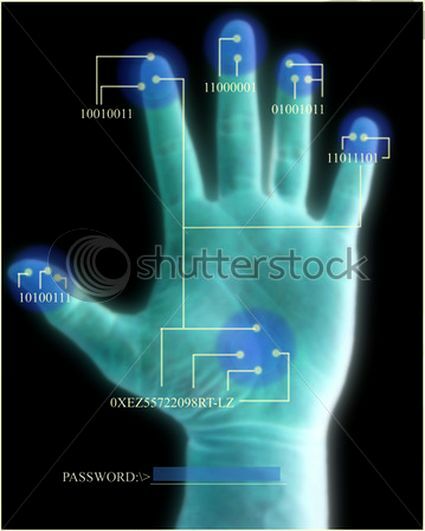 NOTE: The UsuryFree Eye Opener is the electronic arm of the UsuryFree Network. It seeks active usuryfree creatives to help advance our mission of creating a usuryfree lifestyle for everyone on this planet. Our motto is 'peace and plenty before 2020.' The UsuryFree Eye Opener publishes not only articles related to the problems associated with our orthodox, usury-based 1/(s-i) system but also to the solutions as offered by active usuryfree creatives - and much more for your re-education. The bad news is that the provincial and federal governments in Canada, the professional medical organizations (especially neurologists) and the MS (Multiple Sclerosis) Society of Canada are refusing to recognize CCSVI (Chronic Cebro Spinal Venous Insufficiency) as an effective treatment for people diagnosed with multiple sclerosis, therefore funding of the CCSVI testing and treatment is being refused to MS patients - this is extreme discrimination. The good news is that while many MS patients, along with their families, friends, neighbours, working colleagues, cyberspace friends as well as a few awakened doctors and politicians are coming together to learn how to flex their muscles on the political and economic landscapes in the name of “health and wellness,” they are learning that knowledge is king, that truth is stranger than fiction, that myths can be shattered and deceptions exposed on various, relevant issues. Could this current CCSVI controversy become “The Awakening Factor” for we-the-people as we witness and experience the noteworthy and far-reaching scope of our influence in search of “health and wellness” for those afflicted with “sickness and disease” - whether it be multiple sclerosis or any other modern disease? We are learning that any group or institution that exercises influence in the “health and wellness” industry is likely to be a target for control by the giant, trans-national, pharmaceutical corporations whose true focus is money and power as it relates to controlling “sickness and disease” for a lifetime with prescribed pharmaceuticals rather than advocating any immediate healing therapies or procedures. I learned about the important work of Dr. Paolo Zamboni from Italy and his advocacy for the CCSVI treatment for MS patients in the fall of 2009. Since that time, I have noticed that more and more people are coming forth to question to motives and agendas of those individuals and groups in Canada that are opposed to adopting the internationally recognized and established imaging and treatment guidelines for this relatively simple and inexpensive CCSVI procedure as it applies to MS patients. It is exciting to note that many people are voicing their observations that those opposed to the CCSVI procedure for MS patients are not in sync with the shifting attitudes towards “health and wellness.” Instead of blindly accepting the conventional thinking that persons afflicted with any “sickness and disease” must rely upon the expensive drugs manufactured by the giant, trans-national, pharmaceutical corporations and prescribed and administered by members of the professional, medical organizations - many of whom have stocks or holdings with Big Pharma corporations - MS patients and their supporters are asking questions and questioning answers about the “extreme discrimination” being foisted upon MS Patients. Countless MS Patients and their growing numbers of supporters within the MS Liberation Movement are wondering if the MS Society of Canada is paying the price for permitting their organization to be so heavily influenced by Big Pharma during this current CCSVI controversy? It is my humble observation that the global banking cartel in conjunction with numerous major trans-national corporations has been buying up influence and control over the people who are running various groups, institutions, organizations etc. and tax exempt charitable organizations are included. One cannot help but wonder if the MS Society of Canada has been compromised. It is noteworthy, that the MS Liberation Movement was formed in the fall of 2009 when it became clear that the MS Society of Canada was questioning rather than supporting Dr. Zamboni’s research which clearly indicates that any blocked veins in the neck and chest area are resulting in myelin damage in the brain and spinal cord on MS patients. The MS Liberation Movement (includes all CCSVI groups on Facebook or otherwise in cyberspace) has been evolving and expanding now for approximately seven months. Indeed, it has taken on a life of its own with many supporters committed to seeking the “truth” about the hidden agenda of the provincial and federal governments in Canada, the professional medical organizations and the MS Society of Canada all of whom are guilty of imposing “extreme discrimination” against 75,000+ MS patients in Canada who are still being denied a respected and proven CCSVI treatment that uses venoplasty and stents for a vascular abnormality. 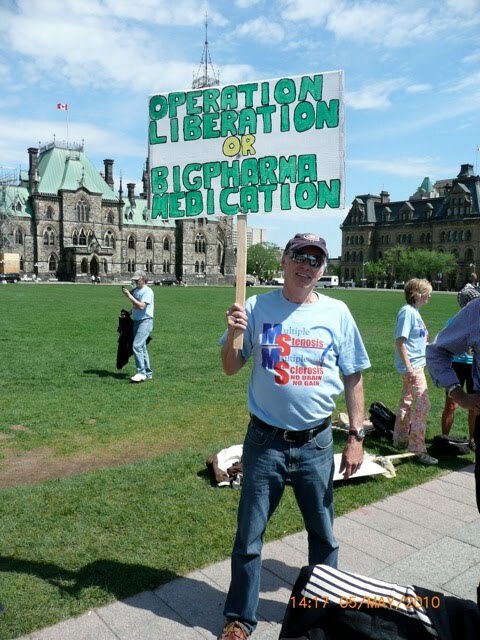 Over the past thirty years, the MS Society of Canada has kept the reins on the favoured status quo treatment for MS, which has routinely been a variety of expensive “Big Pharma medications.” As of this current date, the MS Society of Canada has been reluctant to advocate an innovative and much less expensive treatment commonly referred to as “operation liberation.” Why? The bad news is that time is running out not only for those people diagnosed with MS, but for all Canadians. I remember not too long ago, I would connect the dots on some of these issues related to "health and wellness," "economics," "politics," "9-11" etc. and people would look at me like I was an alien from Jupiter and say: "You have got to be kidding, that could never happen in Canada." Now when I explain the relevance of these inter-related issues and how they apply to the "extreme discrimination" of the MS patients, people lean forward and ask: "How much time do we have left?" 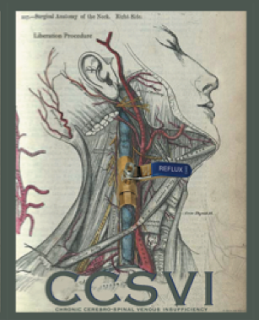 The emergence of the MS Liberation Movement is spawning a national (and international) coalition of CCSVI, inter-connected, advocacy individuals and groups that are affecting the national consensus for immediate acceptance of the CCSVI treatment here in Canada. MS patients and their supporters are currently directing their limited funds, exclusively to (a) those who are traveling to foreign countries for the CCSVI procedure (b) doctors and supporting groups that are advocating for the CCSVI procedure here in Canada. In the meantime, there is much evidence that there are growing networks of grassroots activists who have been dedicated to exposing “lies, deceit and deception” about various issues and topics, while promoting “truth, honesty, integrity and health and wellness” and these networks view the “CCSVI controversy” as one more discriminatory evil to be widely exposed and immediately corrected. The MS Liberation Movement is now positioned to build sophisticated databases and cyberspace networks that are intent on mobilizing increasing numbers of fellow-Canadians who will be connected and informed electronically with emails, video clips on You Tube, tweets on Twitter, posts on Facebook, as well as printed literature, rallies and town hall meetings. As the MS Society of Canada comes to realize just how many of their former loyal donors are committing to change the way they spend their money, other charitable organizations are coming forth to ask how they can help to solve the “CCSVI controversy.” Hopefully, there will soon be other opportunities to make donations to participating and duly registered, charitable organizations specifying that the money be allocated for particular CCSVI advancement. Of course, request receipts for allowable income tax deductions will be granted for any donations. Though the MS Liberation Movement may still be a small minority as judged by Big Pharma, it does have the potential to become well organized in this modern age of change. The animosity towards the giant, trans-national corporations and the global banking cartel is steadily growing. This is evidenced not only by the “CCSVI controversy” but also by the recent tremors in the usury-based, debt money, financial system - in South America (Argentina) in 2001 and now especially in Europe. These financial tremors are fueling the necessary changes as their old and broken “system” collapses, opening a space for many changes that will bring a brighter future of health and wellness accompanied by economic abundance for everyone on this planet. May the CCSVI procedure be one of those significant changes, may it be adopted, implemented and funded immediately as a routine treatment commonly available for any MS patient in Canada who may requisition it from her/his doctor. The silver lining in the clouds surrounding this “extreme discrimination” is that people in favour of the “CCSVI treatment” are learning that this is but one obvious symptom of our broken “system” and they are getting much support from people who are aware of the other broken elements in our “system.” Together, we can and will make a difference. The final good news is that all we have to do to make sure the “CCSVI treament” is available for any MS patients who might choose it, is to continue to go out and work like our very lives and freedom depend upon our activism, because they do. 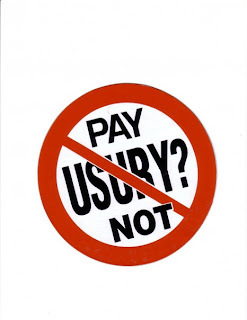 New readers are invited to review any of the previous posts here at The UsuryFree Eye Opener and you will quickly realize the financial connections between "sickness and disease" and the function of "usury" or "interest" on money. Being aware of the fragile economic chaos that is currently underway in various countries in Europe all readers will quickly connect the dots and follow the tenacles of the the manufactured controversy over the CCSVI procedure. If there was an abundance of money in the “system” everyone diagnosed with multiple sclerosis in Canada could be tested and treated with CCSVI if necessary. The design flaw of usury as it is applied to our orthodox economic system of debt money is the evil and immoral, killer machine that is directly and/or indirectly responsible for wars, violence, poberty, scarcity and lack. Consequently, it is because of the perceived scarcity of money, that the “system” claims it cannot fund the required research for the approval of the CCSVI procedure. 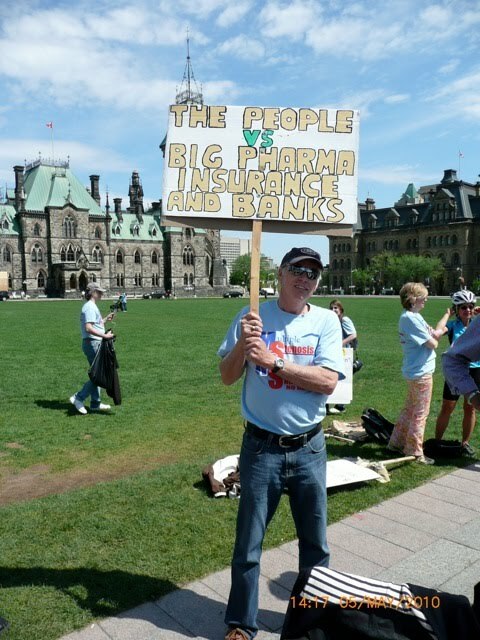 Additionally, the owners and shareholders of the giant, trans-national, pharmaceutical corporations have become so powerful financially that they can influence federal and provincial politicians and their respective bureaucrats. Obviously, there is major profit potential in selling drugs to MS patients for their entire lifetime, and since the “system” is in the business of “sickness and disease” rather than “health and wellness.” Consider how the sales of drugs would decrease if this simple and inexpensive CCSVI procedure improved the health of countless thousands of people diagnised with multiple sclerosis. Of course, Big Pharma manufacturing facilities have loans with the usury bankers and are therefore paying tribute to their creditors. These usury costs are simply added to the end product and the consumer who buys their drugs pays these usury fees in addition to an ever increasing tax burden. And Big Insurance corporations offer to insure anything and everything and they charge monthly premiums to cover any potential claims. Some researchers claim that the Big Insurace companies are equally as powerful as the global banking cartel. “Nuff typed for an Introduction. Below is my article: “Operation Liberation” or “Big Pharma Medication.” You are invited to read it and share it. Those are the words that I painted on one side of the sign that I painted and carried at the MS Liberation Rally on Parliament Hill on Wednesday, May 5, 2010. The people who commented on those words agreed that indeed, it is “Big Pharma” that has been influencing the “sickness and disease” system to withhold the CCSVI (Chronic Cerebro Spinal Venous Insufficiency) from people diagnosed with multiple sclerosis. On the otherside of the sign I painted this message: “The People vs Big Pharma, Insurance and Banks.” It was this side of the sign that the most people gave me the “thumbs up” sign with numerous comments affirming that indeed “Big Pharma, Big Insurance and Big Banks” are holding we-the-people hostage for their selfish, financial gain. My partner who has been diagnosed with multiple sclerosis carried a sign that displayed this message: “$1500. for CCSVI or $20,000. annual meds - either way, you pay.” She is currently taking the pharmaceutical drug called copaxone at a cost of $20,000. annually and she too would like the opportunity to receive the CCSVI treatment. I chose to attend the MS Liberation Rally as an activist for CCSVI and an informed and self-educated, citizen about related topics commonly dismissed as “not newsworthy.” My estimate is that apporximately 300 people attended the rally in Ottawa. Thanks to the MS Liberation Group in Ottawa for organizing this event - especially Andrew Katz and Rebecca Cooney. There were numerous MS Liberation Rallies all over the world on Wednesday, May 5, 2010 to call for fair access to the CCSVI treatment otherwise referred to as “Operation Liberation.” Special thanks to all of the organizers and to those fellow-Canadians who made the effort to attend any and all of the rallies in Canada and elsewhere. I also attended a special meeting hosted by the Parliamentary Sub Committee on Neurological Health at 7:30 AM on Thursday, May 6, 2010 in Room 209, West Block, Parliament Hill, Ottawa, Ontario, Canada. This Parliamentary Sub Committee was chaired by Joy Smith. The Clerk of the Subcommittee is Chrisitne Holke David. Written submissions to this Subcommittee are also being accepted. Submissions must be forwared as soon as possible. Below are the electronic contact details complete with the mailing address for those who prefer to use regular mail (postage-free) to the House of Commons. Request that copies of any submission be made and passed along to all members of this Subcommittee. Here are my observations regarding the Parliamentary Sub Committee on Neurological Health. Since this communication is directed to those involved in the MS Liberation Group, I focused my observations only on those issues relevant to CCSVI. This meeting was open to the media and the public. Obviously, the early starting time hindered many people with multiple sclerosis from attending. I wondered why the meeting could not have been scheduled in mid-morning so that more observers could be present - or was the agenda to have only a few people attend? The good news is that there were approximately 25 people sitting in the gallery as observers. There are a four Members of Parliament on this Sub Committee. I managed to get the names of these three MP’s: Mauril Belanger, Liberal, Ottawa-Vanier, Ontario, Megan Leslie, NDP, Halifax, Nova Scotia, Dr. Kirsty Duncan, Liberal, Etobicoke North, Ontario. I was only able to see “Luc” as the first name of the Member of the Bloc Quebecois. There were three people with multiple sclerosis invited to make seven minute presentations as well as Yves Savoie, President and Chief Executive Officer of the Multiple Sclerosis Society of Canada. http://www.mssociety.ca Since seven minutes is a very brief time allotment, most of the presenters did not complete their oral submissions. It was fortunate that some of them had written submissions which they shared with the observers. Yves Savoie was the first presenter. He pointed out the neurological sickness would become the leading cause of death for Canadians within the next 20 years. He also informed the Sub Committee that the Multiple Sclerosis Society of Canada was meeting the Minister of Health regarding a request for $10. million of additional funding for CCSVI research. Those people afflicted with multiple sclerosis who are seeking the CCSVI treatment see no need for further research as this simple procedure has been commonplace in the medical profession since the 1970’s. Kristy pointed out that the International Union of Phlebology has released a Consensus Document whereby 47 countries already recognize CCSVI as an effective treatment of venous malformations. She also pointed out that approximately 300 Canadians have already been treated with the CCSVI procedure - most of these in a foreign country - with little risk for the testing or the procedure itself. In her written submission, Kristy commented on how many Canadians have gone overseas for the imaging and follow up “operation liberation” and she asked what sort of tracking is being undertaken to evaluate their condition following their trip to a foreign country. Yves Savoie agreed that any risks regarding the imaging or diagnostics are minimal and he concurred that the CCSVI treatment itself was not available in Canada. I found it noteworthy that Yves Savoie responded to Kristy Duncan saying that he was unaware of the Consensus Document released by the International Union of Phlebology regarding diagnosis and treatment of venous malformations. Laura Radley (from British Columbia) who is diagnosed with multiple sclerosis was speaking on behalf of the 75,000+ people in Canada who are currently afflicted with this disease. She made it very clear that she was in attendance to specifically talk about an emergency topic - CCSVI. Laura revealed that more than 50% of those Canadians diagnosed with multiple sclerosis have a seriously compromised vascular condition. One of her key questions was: “Why are MS patients being denied access to testing for CCSVI, despite this procedure being a commonly insured condition? Another key point voiced by Laura was: “I do not want any neurologist to weigh in on any decision regarding my vascular health.” She pointed out that the brain is being damaged by the blocked veins and that there are already protocols and procedures in place to treat CCSVI. Laura explained that since the risks are minimal, that no further experimental research is required according to the 750 people from all over the world who have already received the treatment. Laura made it very clear to the Sub Committee that to deny the consultations, the screening and the “operation liberation” was a violation of the Canada Health Act. She stated that the current discrimination of people with multiple sclerosis must cease immediately, since a simple, vascular treatment is being withheld from them. Megan Leslie used less than seven minutes, so she was generous to Kristy Duncan and invited her to use her remaining time to direct questions to Yves Savoie. After the seven minute presentations there was time for a brief discussion and a few questions. During this discussion period, Yves Savoie agreed with Dr. Kristy Duncan and Laural Radley, that indeed, we are currently facing an emergency because testing and treatment for CCSVI is being refused in Canada. Yves agreed that there is currently discrimination against those people diagnosed with multiple sclerosis who are requesting to have the “operation liberation.” He also admitted that the risks are minimal for the imaging and diagnostic procedures done by doppler or MVR. At precisely 8:30 AM Joy Smith adjourned the Sub Committee meeting. I found the seven minute presentations to be very short for such important issues regarding the health and wellness of 75,000 fellow-Canadians. After the meeting we - the observers - were immediately ushered out into the hallway where we had a few minutes to debrief and share our observations. As the expression goes - Laurel Radley “gave good suit” and represented the 75,000 people diagnosed with multiple sclerosis with words of intergrity and honesty spoken from her heart. I was also very impressed with Kristy Duncan’s knowledge about CCSVI and her empathy for the 75,000 people in Canada afflicted with multiple sclerosis. I stand by my earlier observation that I formed about six months ago when I first learned about CCSVI or “operation liberation.” Indeed, it is the pressure from the giant trans-national, pharmaceutical corporations, in cahoots with the big insurance corporations and the global banking cartel that has been denying the CCSVI treatment to my fellow-Canadians afflicted with multiple sclerosis. The good news is that this current emergency in the “health and wellness” industry has awakened countless, fellow-Canadians who are now demanding that the discrimination cease immediately and that the CCSVI testing and follow up “operation liberation” be made available NOW!! Let us keep writing letters, making phone calls, attending rallies, communicating in person and on the internet while expanding our database of people who are willing to take a stand to stop the discrimination against people afflicted with multiple sclerosis. It could affect you or your family and loved ones next.